From Cockington Cliff a view to the north over the extensive wave cut platform and pebble beach below the cliffs. From Westward Ho! 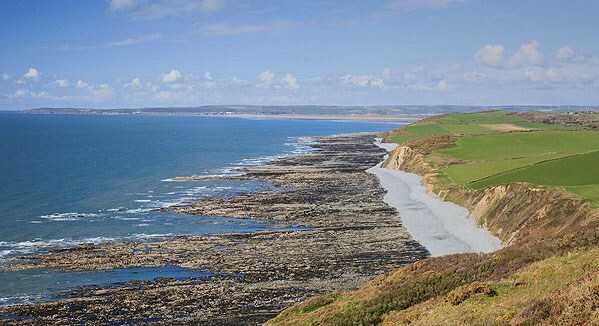 the coast path follows an undulating landscape with the steepest climb up and down Cockington Cliff.